Terrified at the thought of having a dinner party? Feel you cannot cook well enough to entertain your friends at home? Dream of being able to whip up delicious and impressive dinner parties or, perhaps, just a tasty supper after a long day at work? Or simply bored of everyday cooking and need a little inspiration, some new ideas and fabulous recipes? Our Dinner Party course may be just what you are looking for. The Dinner Party course will boost your confidence and develop your culinary skills and knowledge of cooking, giving you the ability and inspiration to create masterpieces in your own kitchen for family and friends. How to present food beautifully? What you can prepare the day before? How to keep yourself tidy and organised in the kitchen? Some different and unusual ways of cooking vegetables? How to cope with disasters? When and how to use herbs and spices? How long to cook meat, fish and vegetables to perfection? How to get the size of portions right - how much food to buy and the quantity to cook? How to choose a dinner party menu with foods that complement one another in flavour, colour and texture? How to bring out the flavour in foods? Over 100 different dishes are prepared and enjoyed by students on the course. We will supply eighteen dinner party meal plans with detailed, foolproof recipes to get you started (there are hundreds of additional recipes in The Orchards Cookery book which each student receives). All our recipes are quick and easy to follow, minimising preparation time and giving you the chance to enjoy the company of your guests. We will show you short cuts and pass on valuable tricks of the trade to simplify and speed up work in the kitchen. We will demonstrate, with the use of clever presentation techniques, how to turn a delicious meal into a designer dinner that looks almost too good to eat. The course is intensive, enabling you to get the best out of your time at The Orchards. Every evening concludes with a dinner party. On Wednesday we finish a little earlier to give students the opportunity to go to The Royal Shakespeare Theatre in Stratford, to the cinema, or to simply relax for the evening. For theatre ticket information click here or telephone 08448 001 110. For cinema information click here or call 0871 704 2067. The course is suitable for everyone, from gap year students and newlyweds to the retired. Remember girls, the best way to a man’s heart is through his stomach; and boys, girls are seriously impressed with a chap who can cook and will do anything for the ultimate chocolate experience! “It's an intensive course but, thanks to Lucy's easy style and tried-and-tested recipes stress and mess don't get a look in. And since the setting is domestic - with music on and plenty of chatter - the inevitable successes are easy to replicate at home." "Excellent instruction from the most knowledgeable and charming instructors. A first class week of fun and entertaining." "Great course, well run, great value, confidence boosting and really enjoyable. Thank you for making dinner party cooking less intimidating and such good fun." "I loved it all. 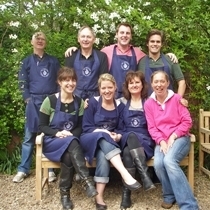 Great kitchen, fabulous demonstrations, wonderful recipes and lovely people." "What a way to learn. You have a winning formula." "Thank you for a fantastic week. I’ll definitely be back!!" "What a wonderful week. The food and ideas were fantastic." 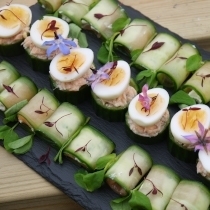 "Excellent fun learning how to take the stress out of entertaining - you made a four course meal look effortless and have inspired me to dazzle my friends with all those new skills." "A great course - fantastic to cover so many dishes, ideas and courses in the one week. So well organised and lots of fun and inspirational cooking ideas." "I have been meaning to email you for ages but I have been sooooo busy cooking. The family can't believe the renewed energy and enthusiasm I now have for just "whipping" something up. Nothing is too much trouble as it once was before. I would really like to thank you for giving me that gift of now enjoying cooking as well as not just seeing it as a chore. I laugh at the memories I have as I make the various recipes as I recall the effort to just learn to chop and the panic when we forgot to add ingredients at the correct time but then we learned to improvise and then confess all at the mealtime. I haven't laughed as much as I did over that week with all the ladies and the stories everyone had to say. Thank you so much for such a great experience and one that we have all benefitted from... Amazingly I lost 2 pounds in weight on the course (must have been the stress of learning how to chop correctly!)... but have put it all back on and more since I started cooking at home! Many thanks."